Home | All News | Can a common language contribute to reconciliation? Can a common language contribute to reconciliation? From among the many functions performed by language in the life of human societies, two complementary ones may be singled out on the present occasion: the integrating and the demarcating. The former unifies a language community from within, turning a collection of individuals into a social entity, while the latter delimits it from other such entities, defined by other languages. In this way a group experienced as WE is constituted and kept together as distinct from some group conceptualized as THEY. These functions operate on different levels, whether what is involved are languages or language varieties of one kind or another. Thus standard languages transcend the geographical and social stratification of a given speech area, at the same time marking the border with neighbouring standard languages; members of younger generations or of subcultures recognize each other as belonging to the group, but also keep at bay outsiders, by using specific slang expressions mostly incomprehensible to these; the professional jargons and terminologies of car mechanics, physicians or lawyers interconnect their users while excluding non-members; and so on. Both these functions are constantly at the disposal of members of a language community; how they will be made use of depends on its general policies, as well as on the programmes and objectives of particular groups of speakers. In the realm of politics, especially in territories struck by recent armed conflicts which were preceded by aggressive hate speech, language may be employed in the service of reconciliation, but likewise for reawakening the temporarily suppressed passions. Nationalism, whose various manifestations played a key role in the dismemberment of Yugoslavia and the administrative dissolution of Serbo-Croatian into four national components, is characterized by a desire for fragmentation. Namely, everything held in common must be divided in order to ensure determining who is who and what is whose, with each party guarding its own ground. In this period, but later on as well, nationalism demonstrated its destructive potentials mostly through the constant misuse of language. It was here, in language turned into an instrument of war and of postwar conflicts and divisions, that it found its main stronghold and pool from which to draw its strength. But let us turn to the question posed in our title, concerning the possible role of a common language as a means of reconciliation among the principal generators of conflict: the antagonistic nationalist political and cultural elites in the newly established states. Firstly, what does the notion of a common language actually mean in this context? Roughly, it is a language of communication among opposed ethnic, political or other parties, whose reconciliation is being considered. It is normally assumed that such a desirable outcome is harder to achieve if these sides speak different, mutually incomprehensible languages, whereas the existence of a common means of communication crucially enhances such efforts. After all, this common-sense belief constitutes the very foundation of the so-called planned languages such as Esperanto, whose creators generally held that all wars would cease, with permanent peace prevailing in the world, only if all nations had a language in common. This idea soon proved to be utopian, but its echoes are still occasionally heard. 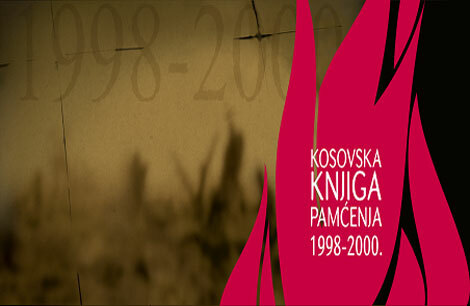 Yet the state of affairs in reality, on the ground, may be illustrated from the Yugoslav experience. When war broke out here, first “experimentally” in Slovenia and then far more drastically in Croatia, many local observes (including the author of this article, born and bred in Sarajevo) believed that armed clashes would not spill over into Bosnia and Hercegovina, where three nations speaking the same language had lived together for centuries, a circumstance ruling out any obstacles in mutual communication which in theory might cause misunderstandings with grave consequences. But we have seen what an illusion this was: precisely this land became the arena of the worst killings and other crimes committed in that tragic war. So what are we to conclude from all this? To begin with, no language is preordained by its substance or structure for aggressive or conciliatory employment, because in principle every one of them possesses means suitable for both. Language can speak war as well as peace, depending on the choices made at a certain time and under the given circumstances by decision-making groups of speakers. It would make little sense to blame the Serbo-Croatian language for the outburst of hate speech, as a precursor and concomitant feature of the warfare and violence that took place on its territory. 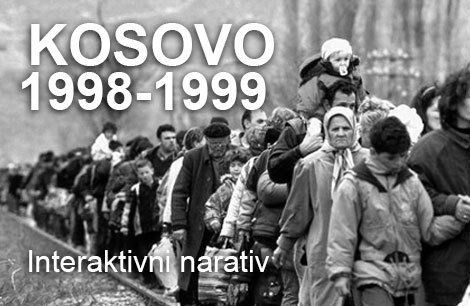 Analogously, its official descendants – Serbian, Croatian, Bosnian and Montenegrin – can in themselves take no credit for the relative settling of the dust in the aftermath of the war. In both cases the question was not what one language or another was like, but how the ruling circles of the warring parties employed language to fulfil their objectives. In other words, “the language of war” and “the language of peace” are metaphorical labels for discourse types made possible by different selections from the entire linguistic repertoire, rather than some distinctly profiled individual entities. This, however, does not mean that there is no difference between them: the difference, and an essential one, is in the programmes and goals shaped and promoted by the verbal means at hand, and in the effects thereby achieved. And this is where the answer to the question raised in the title is to be sought. Yes, a common language can definitely contribute to the extremely complex, lengthy and painful process of reconciliation and establishment of normal communication in all areas of social life in this region – but there are preconditions for this. First of all, measures are to be taken to raise the level of linguistic tolerance, including the recognition and utilization of the advantages offered by the common language. This should replace the artificial blowing up of minor differences among the four descendants of the officially buried but communicationally still living Serbo-Croatian language, a practice followed under the banner of protecting national interests but actually for political lucrativeness and ensuring the attendant privileges. In order to achieve this it would be necessary to reaffirm the integrating function of language, previously pushed into the background by the systematic favouring of its demarcating function. 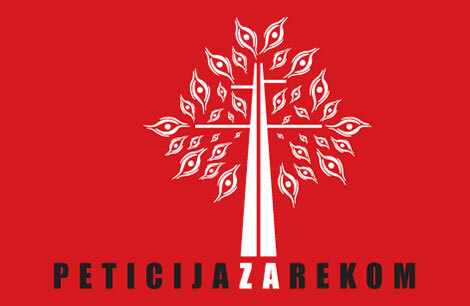 To say this is not to advocate an official return of the common Serbo-Croatian language, which would simply be unrealistic under the present circumstances: the four states emerging on its territory have upheld its official inheritors as their essential individual symbols, which they are most unlikely to renounce. What we have in mind instead is full reliance on the continuing although informal life of Serbo-Croatian. Namely, we only pretend to have four languages, because four language names have been institutionalized under the onslaught of nationalistic fragmentation, yet in reality we still understand one another perfectly while speaking “each his own” language. In the same vein, the idea that only the Cyrillic script belongs to some nations and only the Latin to some others should be abandoned, since scripts should in general be linked not to nations but to the languages written in them (just as the languages themselves are not the “property” of nations but of their speakers, whatever their nationality). 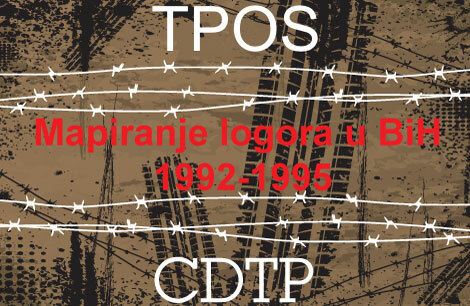 To give just one example from the domain of education, as the most delicate and the one to be addressed first, the general social atmosphere thus created would facilitate abolishing the extremely harmful and dangerous segregation in Bosnia and Herzegovina, Croatia and Serbia, labelled “two schools under one roof”, where the children are divided according to their allegedly different languages, without question and occasionally even contrary to their parents’ expressed wishes, in the name of protecting their right to mother tongue education. It is easy to see that such an idealized scenario, however desirable, is very hard to carry out. It implies reaching some measure of agreement regarding the need to work on reconciliation on all sides and in all relevant domains, precisely by relying on the noted advantages of the common language – and to do so honestly and consistently, not just in a declarative fashion. Yet this is difficult to expect from the same ruling establishments whose activities caused the need for reconciliation in the first place. After all, too many group interests and individual careers – political, academic and others – have been served precisely by cultivating peculiarities, differences and intolerance, for this inexhaustible source of power and capital to be abandoned lightly. Hence the future of reconciliatory efforts is uncertain, to say the least, but a common language remains to help when needed, and it should be given a chance. The author is a retired Professor of English and General Linguistics at the Faculty of Philology, University of Belgrade. 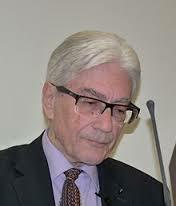 A former President of the Linguistic Society of Europe, he is currently a member of the European Academy of Sciences and Arts (Salzburg) and a Council of Europe expert on regional or minority languages (Strasbourg).